With federal, state, and industry support, we help set and implement a national research agenda that seeks to benefit the concrete paving community. We accomplish this work by facilitating strategic short- and long-term partnerships. Our partnering relationships include the Federal Highway Administration, state DOTs, state concrete paving chapters and associations, industry representatives, and research universities around the nation. 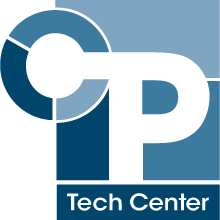 Through our national partnerships, the CP Tech Center is able to shorten the time it takes for scientific research to become day-to-day practice, getting new approaches and technologies into the hands of users more quickly and efficiently. On-site decision makers (e.g., technicians, project supervisors, inspectors, and crews) understand the nuts-and-bolts of how to implement the advancement.